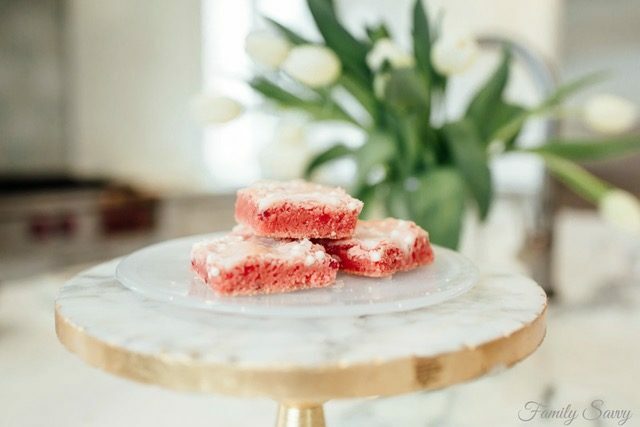 These beautiful and addictively yummy strawberry brownies are perfect for parties, showers, bake sales, food gifts, or any occasion calling for a special dessert or sweet treat. 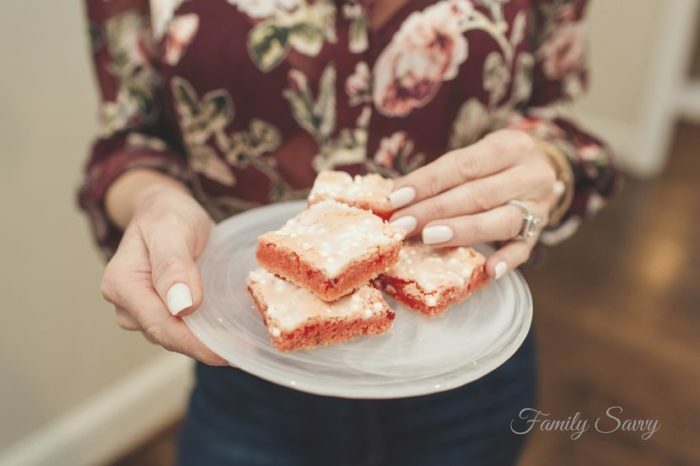 This strawberry brownies recipe is the most repinned item from my brownies and bars pinterest board and one of the most popular recipes on Family Savvy, and for good reason. These strawberry brownies are not only a lovely enough to feature on a party table, they are absolutely delicious. I’ve made these for baby (girl) showers, wedding teas, and teen get-togethers. The pink obviously doesn’t bother the guys, as many “boy moms” have texted me for the recipe after I’ve hosted school events:-). In the photo below, I am serving the brownies to a women’s coffee gathering. They are always a hit, and I always get asked for the recipe. The key ingredient in these brownies is strawberry cake mix. I’ve always used Duncan Hines, as that is my favorite brand. I am sure others would work also as long as they don’t have pudding in the mix. Although I’ve never used pudding mix for these, I fear it would make them too soft. The above formula can be tweaked. You can use different flavors of cake mix and vary the flavors of extract. I use vanilla extract for strawberry brownies and almond extract for white cake mix brownies. Make ahead: If making and taking these to an event, I usually bake them, cut them into squares, and freeze them for up to four weeks. The day of serving, I let them thaw in the freezer bag (opened) for a few hours before arranging on a small platter. Mixing: The batter for these brownies is very thick. I suggest using a good quality blender. 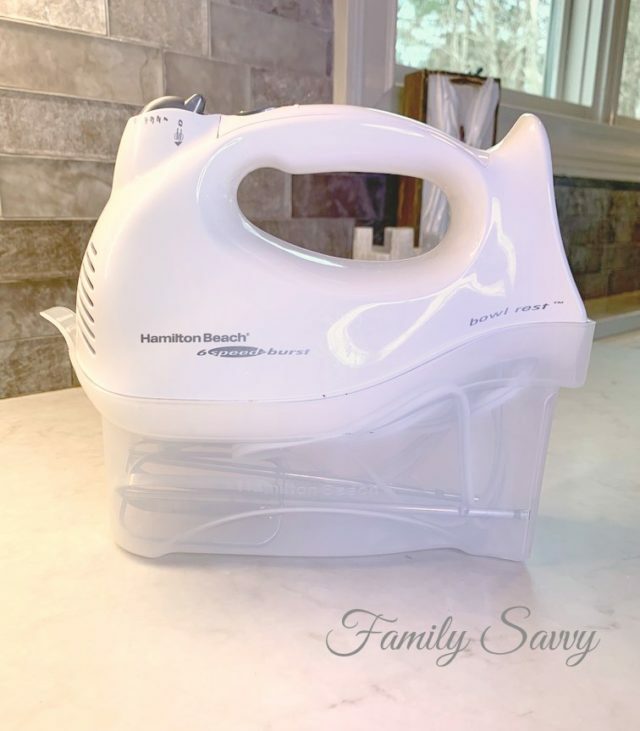 I love my Hamilton Beach (below) and highly recommend it. It is a great price point too. I link to a few stores that carry it. If you Use Ebates, you can save at most of the stores. If you don’t have Ebates, you can sign up here. To learn how I have saved tons of money with Ebates, you can read this blog post. Removal from pan: To make these strawberry brownies pretty, they need to be cut AFTER removing from the pan. It is necessary to release the entire pan of brownies nicely so that cutting will be easy. Options for easy release of brownies before cutting. Lining the baking pan with parchment paper is one option, but parchment can “bunch up” in corners and make getting a smooth end result difficult. My fave parchment paper was aluminum foil on one side and parchment on the other. It is no longer sold in stores but can be found here on amazon. If you buy a small silpat, you can put it in the bottom of your baking pan and spray the pan (including silpat) with baking spray. The silpat will help make release easier. If you use a high quality baking pan, spraying very well with Baker’s Joy (or any flour-based baking spray) should be enough. I link to my favorite below. NOTE: No matter which of the easy release options you use, it is important to let brownies cool at least 20 minutes before releasing. Pan Size: When making a single batch of brownies, I use either an 8″ square or 9″ square. I prefer the thickness of the 8″ square; the larger pan yields a more thin brownie. Cook Time: Oven temps and pan size both affect cook time. I put 15 minutes in the actual recipe so that cooks will start checking at 15 minutes and be ready to remove brownies the minute they look ready. I pull mine out when tiny cracks begin appearing on the surface and when edges begin pulling from the side of the pan. Remember, they will cook a bit more and firm up as they cool. Batter will be very thick; don’t be alarmed! In fact, it is so thick that I tend to use my hands to press it into my baking pan. I spray my (clean) hands with cooking spray and press the dough into the pan as evenly as possible. If you don’t like using your hands, a spatula sprayed with cooking spray should work fine. Baking Tools: I am all about having the right tools for baking these brownies (or any other baked good). I’ve listed the ones I use below. In the short video below, you can see how easy it is to glaze the brownies once they are pulled from the oven. Update: I just published the “cousin” recipe to these brownies~Sensational Strawberry Bundt Cake with Lemon Glaze. I’ve made this cake twice in the last week; folks go crazy over it! If you have any need to take a dessert to a gathering, this is a foolproof, easy, beautiful and delicious option. If you try these, please let me hear back. Feel free to share any helpful tips or suggestions as well. As always, thanks so much for stopping by. Be blessed, and stay savvy! The prettiest and yummiest dessert you will ever make from a cake mix! Line 8" or 9" square baking pan with parchment; spray with flour spray. Mix strawberry cake mix, eggs, and oil with hand mixer until well combined. Bake for 15 minutes or until just set; be careful not to overcook. Allow brownies to cool for 10 minutes; lift carefully from pan using ends of parchment to lift. Mix powdered sugar, water and extract (is using) until smooth. Add just enough water until thick but spreadable. Pour glaze over brownies, spreading to edges so that glaze will drip down sides. Allow brownies to cool and glaze to set before cutting into squares. 8" pans yield thicker brownies; 9" pans yield thinner ones. Batter will be very thick; use a good mixer to mix and spatula to spread. Refrigerate baked and glazed brownies for an hour or so before cutting, and they will cut easier. Oh Elle I am so glad to hear that this worked. I’d love to know the ratio if you have it; I am sure other readers might also want to try it. And deep fried? Please elaborate!!!! I’ve never heard of this but sounds intriguing!!! I just made another batch of these strawberry brownies and replaced a small amount of flour to make it less sweet. It did the trick. I thought it was delicious. I also made a few deep fried strawberry brownies. My 3 year old loved both. Thanks for the tip. I made this last week which my family loved but I found it to be very sweet. How can I make it without it ending up too sweet? I followed the recipe listed above. Thanks so much for this great recipe. I needed something to bake and found a box of Pillsbury strawberry cake in the back of the cupboard and google led me here. I remembered my Wilton silicone petit four baking mold and cooked these up in that, a perfect amount of batter, and now I have 24 strawberry brownie bites for an event tomorrow. I made the glaze with lemon juice, dusted with sprinkles and now I can’t wait to try this with a lemon cake. Oh, and I stuffed a chocolate chip into the batter for each one just to see how that will turn out, and next time, it will be a white chocolate chip. Hello – wondering about your make-ahead instructions. Do you glaze before freezing? How long does it take to thaw them? And how does the texture/flavor hold up? Thank you! I just made these using an individual brownie pan. So i got a dozen 4×3 brownies out of a bettey crocker Strawberry cake mix. And i have to say I was excited about these. Something wonderful and new. Followed the recipe to the letter and they just didnt taste well. They left this weird after taste in my mouth. Like i had eaten dry cake mix. But thanks for the idea. I will be mulling it over, tweaking it and seeinh what i come up with. I made them for a bake sale and unfortunately i wont be able to do anything with them. Now i didnt try them with the icing, so my fingers are crossed that the after taste flavor will disappear and i will be able to salvage them. I loved the idea and my brain flew into overdrive with all that i could do. Thanks for sharing, though. Just made them & they are delicious! I love strawberry everything so I had to try them & they did not disappoint this strawberry lover. I did not put icing on them because I thought it might be too sweet for me. Thanks for sharing! Hi Ray! I’ve never thought of that. I’m a creature of habit, so I will probably stick to the powdered sugar because I know it works.But if you try the Quick, please let us know how it turns out. Thank you so much for sharing your ideas!!! 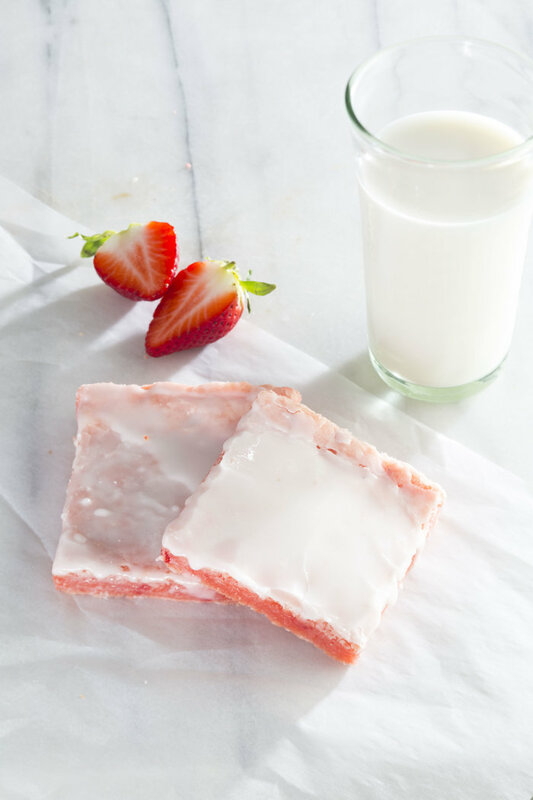 I bet you could kivk up the strawberry flsvor by using strawberry flavored Quik instead of regular powder sugar to make a basic strawberry icing. Can I double this recipe and use a 9×13 pyrex pan? I do this when making brownies from a mix? Also I want to add strawberries to this. Hi! I was wondering if I should make the brownies by the directions on the box and then make the glaze as per your directions, or if I should make it all by your recipe. I have a pillsbury cake box. Thanks. These are pretty and well suited for holidays and celebrations. I can’t wait to try these and am sharing this with folks. Devlin, I really rarely use extracts in the glazes and when I do, it is vanilla and occasionally almond. The BEST flavor overall, in my opinion, is making the brownies and glaze without it. You’ll get the fullest “strawberry” flavor. Give it a try!!! I am so glad they came out well!!! Try the recipe with normal glaze, and I think everyone will love them!!!! The brownies came out great the whole family loved them said they were to rum forward though i thought the glaze was amazing. Hi Devlin, the batter is thick, but the end result is yummy! Let me know how they taste!! Hi Clara, I am sorry to hear that your brownies didn’t turn out well. I’ve never had them too dry except for the edges., so I watch them carefully and remove them when the surface has lots of cracks. I think if they cook too long, they do become more dry/cake like. They are more of a brownie consistency when they are moist. Let me know if you try them again! Hi Cathy! 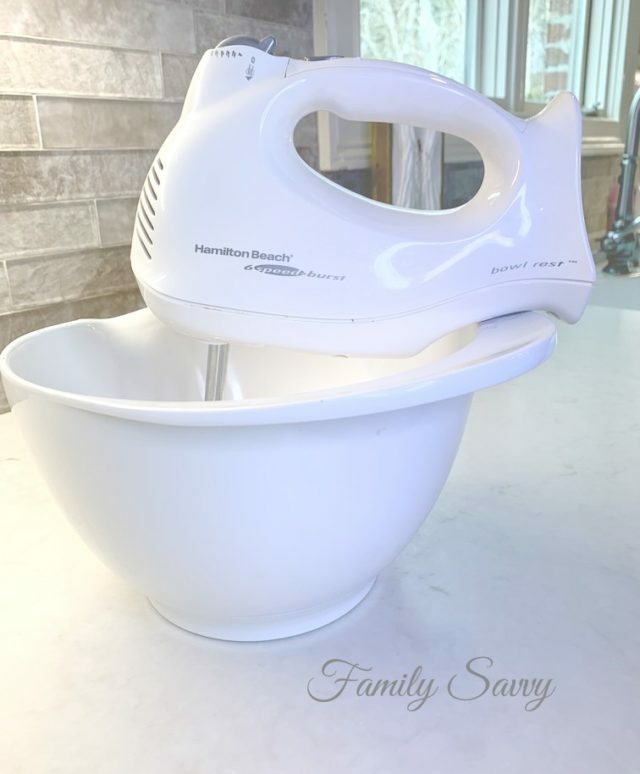 I just linked to my exact mixer in the blog post. It is very budget friendly and is strong enough to mix thick batter. What mixer did you use hand held is stand? It seems like it would be so thick. I am an avid baker,I made the strawberry brownies,and was disappointed. They were very dry,like cake, not brownies. Hi Natalie! You can certainly try, but the only way I’ve ever made these is per this recipe. And even though the batter is thick, it bakes up perfectly. Changing the batter would change the end result somehow, but I am not sure how. I suggest mixing the wet ingredients first (until the eggs are beaten), then adding the cake mix slowly. That way it won’t be as hard on the blender. Let me hear how yours turn out! Hi Brandi, welcome to my world of over explaining:-) Since the crust on these rises taller than the rest of the pan and is a bit more baked, I prefer cutting the ends to make them prettier (and eating the edges separately). Hope you enjoy them either way!! So I made this today and it was a hit. The only thing I did differently is I blended frozen strawberries into the mix to give it more strawberry flavor. Icing needed a splash more milk so that I could spread it better. Overall this was great. Hi Jessica, I have not, but I would LOVE to see how it tastes. I think some others have left comments that they’ve done a chocolate glaze and loved it. If you try it, I’d love to hear how it turns out! I just made these and it broke my hand mixer. The only liquid to combine was the 2 eggs and 1/3 c oil. It became a taffy like consistency. I had to add 1/3 c water just to get it to release the mixture from the hand mixer. Have you tried to make a chocolate glaze for the strawberry brownies? Can’t wait to try these – I love making strawberry things in the spring and summer! The lemon brownies sound equally delish! Thank you for such Awsome Strawberry recipes I cant wait to start trying each one of them!! Hi David! I use canola, vegetable or a blend. I am sure coconut oil would work; I’ve just never tried it. Let me know how your brownies turn out. I’d love your feedback!! What kind of oil is required for the strawberry brownies? So. Just made them, I added mini chocolate chips to the batter and frosted with chocolate icing, my husband loved them! They did turn out more cake like for some reason but that’s alright! My husband said it tasted like chocolate covered strawberries..
Hi, had a box of strawberry cake mix so off to Google to see what I could do with it, stumbled on your blog here, my family is chocolate crazy so I might throw some chocolate chips in mine and then add a chocolate icing.. see how that turns out! Hi, I included in my notes that the extracts are optional, as are the flavors. Most of the time I use vanilla, but when making white cake mix brownies, I use almond. Personal preference!! Hi Kenny! So glad to hear you were able to get good results with cake mix w/pudding! Would love to know what tweaks you made for them to turn out perfectly. Thanks for sharing!!! Thanks, they came out great. Had to tweak it a bit cause I got cake mix w/pudding, but still prevailed. They were delicious. Thanks again. Great recipe, looks easy with all your instructions, as well as delicious! Everything is also so well laid out and incredibly thorough. I thought it was also very read-able, a good amount of spacing to facilitate browsing and skimming (guilty!). Love it! Tana, they really are one of the easiest (and yummiest) desserts ever. And being pink makes them all the better:-) Hope you enjoy them!!! When I think of brownies, strawberry has never come to mind… but it does now! I’ll have to try these, thanks for the recipe + idea! They are so pretty! I would love to try this for Valentine’s Day. Hi Mansa! They really are delicious and so easy to make! I hope you enjoy them!!! These look so good! I can’t wait to try this recipe! Oh wow these look absolutely delicious! I can’t wait to try them!!! These brownies are heavenly, and they are dangerously easy to make. I’ve made 4 batches in 3 days! Thank you!! 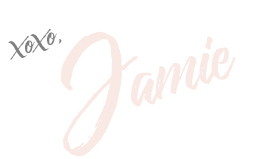 Hi, Jamie. So glad you figured out that the recipe was missing. I am a website developer so I knew I was looking in all the right places and searching in ways if it was there it could not escape me! I used the Lemon Brownie as a guide and added 1/2 t high grade vanilla extract. I see that your Strawberry recipe does not call for that in the brownies, but I used it. My son loved them! For the glaze, I did not add vanilla (because I did not have the recipe at the time…and there is no almond extract mentioned on the Lemon Brownie recipe I was using as guide. But I added a twist. 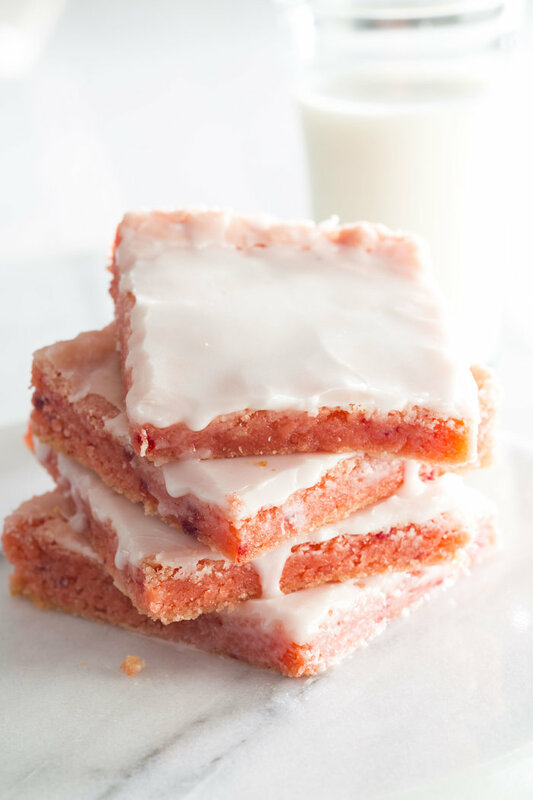 My son has a penchant for strawberry cake with cherry icing and since my husband drinks tart cherry juice for his injury-induced gout, I used tart cherry juice instead of water…added that extra zing for people who like that. Thanks for the recipes and for putting the recipe back. I highly recommend this! Would love to try them but cannot find a recipe on this page. Went to the lemon Brownies recipe and it did not mention almond flavoring as alluded to here so was afraid I did not have the right recipe. I’ll check back again but I fear it won’t be in time for my strawberry-cake loving sons birthday tomorrow. I am so sorry that yours didn’t turn out! If I had to guess, I’d say it is the pudding mix cake mix. I’ve never had this problem, and I’ve always used Duncan Hines. Especially given how meticulous you were with time/temp, the pudding is the only culprit that I can think of. Well thank you for letting us know that it paired well with the brownies! I will have to give it a try. I have a caramel sauce on the blog that is wonderful. Check it out if you have a chance! It was a homemade one, It happened by a chance actually, 2 days before I try your recipe, I was trying a homemade caramel recipe, and I had some of it left, and was curious how it would taste with strawberry brownies xD and it turned out well. I tried using an orange cake mix and frosted them with melted chocolate chips. Delish. Thanks for the idea. I am so glad you like the lemon bars! The strawberry are my favorite. I am eager to hear which one is your favorite. Thanks so much for sharing your thoughts!!! Iâ€™ve made your lemon bars multiple times now and they were a HUGE hit. 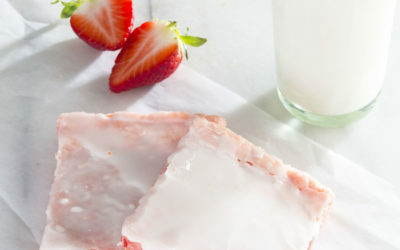 Today Iâ€™m going to make the strawberry bars and I canâ€™t wait to compare the two! I plan on adding blueberries on top for some freshness and maybe Iâ€™ll use come fresh berry juice I have on hand for the glaze instead of water. Thank you for these recipes! Hi Diana, I am not sure how that would change the outcome. But….even though the batter is thick, the brownies turn out perfectly once baked and cooled. I think the inconvenience of having to spread a thick batter may be annoying, but the brownies taste great in the end. Let me know if you try anything differently, though! I made these brownies and they are delicious but VERY sweet! They turned out fantastic but the batter was so thick! Hi Cheryl! I apologize for the confusion. I have both 8 x 8 and 9 x 9 pans, but I almost always use the latter (and I’ve corrected the blog). I will tell you this. The brownies don’t look pretty until they are removed from the pan, edges trimmed, and cut into neat squares. I am always kind of sad at how they look UNTIL they are iced and cut nicely:-) I hope this is the case or you. Do let me know! They really are yummy, so I hope you are able to take them to your potluck. The “Pan Size” note above says to use a 9×9″ pan, but the Instructions area of the recipe says to use an 8″square pan(?) Anyway I used a 9″ square pan since that’s all I had, and I followed the intructions exacly with a Duncan Hines cake mix. My only change was giving it an extra few minutes in the oven because I found the center didn’t want to set. After it seemed ready and the toothpick came out clean I took it out but the center then seriously sank. I’ll ice them tomorrow. I’m sure it will taste fine but it’s not fit to look at, and I had hoped to bring them to a potluck. Disappointing. Hi Tiffani! I am so glad to hear that you enjoyed these and that your kids were able to take part. That is sweet family time:-) Thanks for reaching out; blessings to you!!! Amazing treat for my kids to help bake with me! Thanks a million turned out great!!! Hi Karen, what a fun event you have planned! The strawberry brownies will be fab! If you go to Family Savvy and put “strawberry” in the search bar, it will bring up many more recipes that you might enjoy. Have a great day! I am doing a Strawberry Social and Fashion show so I would like every kind of desert that can be made with strawberries. These will fit in fabulously. If you have any more strawberry deserts that are quick and easy that would be awesome. Hi Gwen! I really love the plain glaze, as it adds a bit of texture and sweetness but lets the strawberry flavor shine. I would probably only do glazes flavored with water or lemon/lime juice. Extract would probably be too strong. Let me know what works for you!!!! These look wonderful. I am going to try them for Easter this weekend. For the glaze, I was thinking about putting a little strawberry flavoring in it, do you think that would be too much strawberry. Ooo….. or maybe put real lemon juice in the glaze to give it a tang similar to strawberry lemonade. What do you think Jamie? Oh what a sweet Easter treat for your son!! I have never mailed any baked goods but I’ll bet if you google “how to mail cookies” or similar you’ll find tons of ideas. Let me know what you find out; I am sure others would love to know also! Happy Easter to you and yours! How do these mail? Want to make and send to my son in college for Easter. He doesn’t like chocolate. Can mail 2-3 day delivery. What do you think? Hi Rebecca! So glad you liked them! Yes, the dough is very stiff; it takes a bit of spatula effort to spread it evenly in the pan. They turn out yummy, though!!! My family and I love these! I even experiment with different cake flavors pineapple is our favorite! Thank you for sharing this swet delicious recipe. Hi Joey! Sorry for the confusion. You can ignore the cake box. Just use the ingredients I list in the recipe and follow the instructions. No extra eggs or anything. Hope that helps! Hi Lana! You are so welcome! Thank you for taking time to leave a sweet comment:-) Blessings to you! Thanks for the recipe to a beautiful, tasty treat! Hi Karen! The glaze is basically to add sweetness. I like the plain, but agree with you that it could be jazzed up a bit for some tastes. Almond flavor might work too. The glaze needs flavour of some sort or it tastes awful. Needs vanilla or almond extract. Lemon would be good with the strawberry also. Hi Cami! I think the Pillsbury Moist Supreme does have pudding in the mix, but I’ve never made these with anything but Duncan Hines. Let me know the difference after you make them with both brands; I’d love to hear your assessment! Thanks so much for sharing!!! I just made these with Pilsbury Moist Supreme (That is all they had at Target). Not totally sure there is pudding in the mix as the box didn’t SAY it but they were sort of “wettish” in the middle. I left them in a bit longer but they were starting to get golden so took them out. Drizzled with Ghirardelli white chocolate and at least they look good. They taste good just hope they aren’t to undone. Want to try again with Duncan Hines. Hi Anna, thanks for sharing your experience with the brownies. I am sorry they didn’t turn out well for you! Oven temps can vary greatly, so hope your adjustments yield a good result next time. Let me know! So happy to hear that you like them!!!! Great idea about the glaze!!! I just bought some toothpicks, so I’ll use those to make tiny holes the next time I make these. I’ve made these several times now & they are always a hit. Tonight I decided to switch it up a bit & I pocked some holes before pouring the glaze. I definitely recommend it!! Such as the others needed a change of something new, but I combined two mixes, chocolate and strawberry kinda hard getting the perfect swirl and topped with a very thin layer of strawberry jam I liquidfied it in the blender then did a drizzle of melted chocolate chips, since its all so sweet I did just a touch of jam and chocolate, it was semi sweet morsels. Total way yum! Thank you! Hi Casey! I am so happy you love the strawberry brownies!!! I have actually tried lemon cake mix, and I enjoyed the results. If you try other flavors, please let us know how they turn out!!! These are amazing!! I first made them for my sister in law when she had her baby (some of them did not make it to her!! ), and then I made 2 batches for a 90th birthday party. I’m making 2 more batches this weekend. Question-have you ever tried any other cake flavors? I was just wondering how they would be with a cherry or orange cake mix. Had to try something different. Used Pineapple Supreme Cake Mix. Coconut oil. Pam baking powder spray in an 8 x 8 pan. This needed 30 minutes in my toaster oven. Turned off convection bake. Grew level with top of pan. Turned pan over and it fell right out. Its not a brownie and not a cake. My wife and I love it. Have to try Cherry Chip or Lemon next time. Shannon, thanks for sharing how you made these. I absolutely think parchment AND spray are both a must! Glad you recommend the lemon glaze; I will try it soon! This recipe was fairly easy to make. I went with the other commenter’s suggestion and made the lemon glaze – a nice compliment. I pressed the batter into the pan using another sheet of parchment paper and that worked well. I sprayed the sheet I used with Pam as a precaution to keep it from sticking while I pressed it down. Hi Chelsea! Pineapple and strawberry….sounds delish!!!! Thanks for sharing; I can’t wait to try!!!! Thank you for the recipe! Just wanted to say that I happened to have some pineapple chunks so I added them batter and they were a welcome addition! Hi Raven! I’ve never used butter, so I don’t know! If you try it with butter, please leave a comment so we’ll know how it turns out! Hi Ashley! You are quite savvy to craft this adult only glaze:-) So glad you’ve enjoyed the brownies~and the blog~for 3 years!!! I am honored!!! Blessings to you and Merry Christmas!!! Hi Zack! The jam idea sounds yummy; I need to try that! Actually, I’ve never used the pudding so can’t testify that it wouldn’t work, but it adds lots of moisture and might make the brownies too soft. If you have the urge to give it a try, please let us know how it turns out. Thanks for touching base!!! Just tried this and added some strawberry jam into the batter and rippled it :) It turned out great! In your post, you mentioned that we could use any strawberry cake mix as long as it doesn’t contain pudding in the mix. Why can’t it contain pudding? Hi Bettye, thanks so much for commenting! I love lemon juice glaze; that sounds delish!!! I have enjoyed making these. Instead of water for the glaze, I have used a bit of lemon juice. I call them Strawberry Lemonade Brownies. Janet, I think these will be GREAT!!!! You could put them on a white pedestal/cake stand and put out pitchers of pink lemonade with pink napkins……it will be perfect!!! Take pics, and let me know how it turns out!!!! Blessings to you my friend! Hi Diane! If you don’t have any parchment, I would use Baker’s Joy or an “oil & flour” spray. Parchment just helps you lift out the entire pan and makes cutting perfect slices much easier. You can certainly oil and flour by hand as well. Let me know how it turns out!!!! Hello! I will be baking these today. I will be using Duncan Hines Strawberry Cake mix. I don’t have any parchment paper on hand. Instead, I will oil my 13×9 baking dish then I will dust it with flour. Will this be okay? I’m going to make a go of it and see how they turn out. Thanks for posting such a delicious looking recipe. Have a great day and be blessed! Thanks so much for sharing! I would love to try these with fresh strawberries!!! Delish! Added fresh diced strawberries, and baked for 30 min, everything else as stated in directions. Will def make again. Thanks! Hi Bettye, that sounds delicious! Can’t wait to try!!! Thanks so much for sharing!!! I made these last week with a lemon glaze … instead of milk, I added lemon juice to the powdered sugar! It was a hit. We called them strawberry lemonade brownies. I’ve never tried adding chocolate, but let us know if you do and how it turns out!!! Hi Shianne! I am so glad that they turned out well!!! Thanks for sharing your tweak; that is good to know!!! Blessings to you! By the way. I have made these before and everyone went crazy over them. Super delicious. The only thing I changed was I used a vanilla cake mix and added strawberry jello mix to give the flavor and it was awesome!!! Do you think I could mix a little chocolate brownie mix in with it and swirl it around to make more of a chocolate and strawberry brownie? Or should I just add chocolate chips into mix? Wow…..I so appreciate all this helpful advice on how to use the “pudding” cake mixes! Thanks for taking the time to share this; it will surely help others who can’t find the normal cake mix. Glad you liked them. Blessings to you!!! The only strawberry cake mix at the store was the Pillsbury “Pudding in the mix” version. I said, to heck with it, let’s try anyway. Used two jumbo eggs and 1/3 cup vegetable oil as specified. Used a hand mixer as specified. At the end of the blending, most of the batter was in the beaters, so I used a spatula and a wooden spoon to tag-team each beater and get the batter back into the bowl. It was indeed thick, more like a wet dough than a batter. I spread it in the pan without trouble. Baked at 350 degrees on the middle oven rack and started testing the center with toothpicks at the twenty minute mark, then at five-minute intervals. At the thirty-five minute mark, the toothpick still had a tiny bit of batter on the end of it rather than crumbs (and there were no crumbs on the toothpick at all), but the top was getting a little bit brown, so I called it at that point and took it out. The brownies had raised, but as they cooled, the center sank. But that was okay, it turned out! The glaze: I wanted it thin, so that it would just be a light crackly glaze, so I used much more water than called for, probably about a half-cup of water to the one cup of the powdered sugar. And then there was more glaze than I needed, so, next time I’d probably use only a half-cup of powdered sugar for a single recipe. Glazing it with the sunken middle meant I had to drizzle most of the glaze along the edges and keep smoothing it out of the center so I didn’t get a glaze puddle in the center. The edges were a little more cakey–they tasted nice, though; some people might prefer that taste–but the center was definitely a fudgy brownie consistency! I was eating them within the hour of making them (couldn’t wait!) but they actually tasted nicest about eight hours later, having cooled and become denser. Very brownie-like and yummy! So, summary: Pudding mix version is doable but you may have different consistencies between the middle and the edges. Glass 8x8x2 pan, about 35 minutes so that the center bakes through. If they sink in the middle, no big deal, just cut them up for serving and no one will care. Use less sugar and more water if you want a thin crackly glaze. Delicious recipe, Jamie, thank you; I’m so glad I tried it! Hey there, Michelle! I am so glad that you loved these!!! I love chocolate too, but actually like these a bit better. Thanks for reaching out. Blessings!!! Hi! I just made this delicious recipe. Where has it been all my life. I don’t like chocolate, so this is perfect for me. Thank you so much. Hey! Any strawberry cake mix should work as long as it doesn’t have pudding in the mix. I use Duncan Hines. Sorry, but I don’t have a scratch version of the recipe. Hope you find the mix! I would love to try this recipe, but I can’t find a suitable cake mix to use. Do you have any idea how I would go about making this totally from scratch, without any mixes? Thanks! Hi Nichole! Yes, if you use milk for the glaze, it is advisable to keep them in the fridge or freezer. I use that “rule of thumb” for any glaze or frosting. Hope this helps! Blessings to you!!! If you use milk for the glaze, do they have to be refrigerated? Jessi, thanks for letting us know how you adjusted the time according to pan size; this is so helpful! I would love to hear how the vanilla version turns out, so please let us know!! These are delicious. The first time I baked them, I had to watch the oven. And they cooked for 30 minutes and were fine. I then used a glass pyrex, 8×8, and baked for 25 minutes, and this was perfect. I now know the time I should use. :) Delicious, and can’t wait to try this with a vanilla cake mix too- what a neat idea one of the other commenters left. I baked these at the recommended time- the center was soggy.put them back in for another 10 min or so- took them out and left them in the pan about 10 then lifted them out with the paper and they were STiLL too soggy to even cut. I use an oven temp thermometer and watched them. This seems a waste of time because everyone else’s seem to be fine but they were a disappointment to me. I cooked 22 minutes and added to batter about 2T milk to batter and 1/4cup white chocolate. For the frosting i melted 1/4cup white chocolate chips and Tmilk and drizzled it on top of brownies. Hi Tammy, thanks so much for your comments! Yes, I do need to make clear in the recipe instructions that batter is VERY thick~not pourable but “spreadable.” Thanks for the input on pan size also. Blessings, my friend!!!! Just made these, double batch and used the half pan. Did not fill it up and batter was so thick, was sure I did something wrong. Then I saw some comments and felt better. They turned out great but would use the 9×13 pan for a double batch, would probably be thicker. Also would recommend if you could please mention in the directions that batter will be “thick” , almost dough-like so others will know that is normal. Otherwise, DELICIOUS!!! Hi Katy, that sounds delicious! If you try it, please let me hear how it tastes!!! Blessings to you!! Hi Karen, I have made it with both pans with great results; however, for most ovens, the square pan will yield moister brownies. I always use both spray Pam and parchment paper just for safe measure. It just guarantees that the brownies will lift right out~no worries! Please let me know how these turn out for you. Blessings! I orginally saw this recipe posted on Facebook. Since I wanted to be able to print it larger than I could off of there, I went to your website. I noticed that you changed the recipe from what it originally was, with a note regarding the 9 x 13 pan, but now stating to use a 8 inch square with parchment paper and pam spray. Do you really need the pam spray if you are using parchment paper? Hi Roschel! The swirl idea sound delicious; I will definitely try it! Thanks for sharing. Blessings to you!! This was very good! I swirled strawberry cake brownie batter with yellow cake brownie batter and topped it with the glaze. My kids loved it. I also use this same recipe for cookies. They always turn out great. You can use any cake mix and add any kind of chips or nuts to mix things up. I usually get about 2 dozen cookies out of a batch. Leah, I am sorry they didn’t turn out! Maybe if you lower the temp about 25 degrees it will turn out better. Please let me know! I followed the directions to a tee and they came out raw in the middle… maybe its my oven. Hi Lupe, I just changed that as it was confusing. It is actually 1-2 TB of water (or milk). Add just enough to make the glaze spreadable but not too thin. Hope this helps!!!! In your directions it says â€¢½ -2 TB water or milk. Does that mean 1/2cup + 2TB or water or milk? Hi Angie! So glad y’all enjoyed the strawberry brownies! Yes~ I have made these with lemon cake mix!!! Go to the search box on Family Savvy and type in “lemon brownies” to pull up the recipe. It is yummy!!! Hi Trina! The insides are moist, but not pudding like. I use Duncan Hines (which has no pudding mix), so I can’t compare to yours firsthand. I would suggest trying another batch without pudding in the mix. I’ll bet you’ll see a difference. Let me hear back; thanks for sharing this!!! Toothpick came out clean (also had to bake it longer than 15″), but the inside is still raw looking to some extent. Betty Crocker Strawberry with pudding mix used. Used parchment paper inside an 8×8 glass pan. I am not sure if brownies are supposed to be so ‘moist’ looking on the inside. Will see how it looks in the morning. The top has the cracks in it and is a little brown in a spot or two after the further baking. Very, very good tastewise! Concentrated strawberry flavor. My willpower left the room and made me deal with the brownies all by myself. The red velvet version sounds great; I’ll definitely give it a try! Thanks for sharing! My family loves these! I have also made these with a Red Velvet cake mix. v(that requires a little more liquid.) To help with spreading, I spray wax paper with Pam and place it over the batter and press down until I have it spread over my 9×13 pan. It peels off and makes spreading thick batter easier. I am so glad they turned out well and that they were a hit. Thank you for commenting!!! I’ve made these twice, they came out perfectly, and my friends LOVED them. It’s a nice change from chocolate brownie. Thank you so much for sharing the recipe. I make these suckers all the time – and I ALWAYS double up the recipe and use a 9×13. The baking time seems to vary each time I make them, so I always start checking at 15 but I’ve had them in for up to 30. The only thing I don’t double is the icing, we like it very, very thin, just enough to feel it crackle when we bite the brownies. I’m making these tonight! Using a 8×8 at 350, I baked the strawberry brownies for 19 minutes. I would leave them in the pan for 20 minutes, then glaze. I added white chocolate chips. When cut into bars they were very special! Hi Pamela! I have baked these in all these pan sizes. All have turned out well as long as cooking time is adjusted. I know it is a pain to have to “watch” brownies in the oven, but that is really the best way to get optimal results. Thanks for writing! Blessings! The recipe itself, says 8×8 pan, and you said 9×9 or 9×13. Mine in the 8×8 were thicker, but were not cooked through at all in 15 minutes. First attempt, but they were too raw. Because of the warning to not overcook, I didn’t let them cook any extra. Will try again later. Hi Raven, thanks so much for sharing your comments! I am glad to know they bake well when doubled, as I often wish that I had more than one batch. I’ll be sure to increase cooking time and pan size. Blessings to you!!! I have made these for everybody’s lunches and they were a hit! I doubled the recipe and used a 3 qt and a 2 qt baking dish. Had to bake for almost 18-19 minutes, but they turned out great! We were really happy with them! Hi Melissa, I am so sorry that yours didn’t turn out well. The recipe actually specifies a 9 x 9 or 9 x 13 pan. Depending upon which pan you use, the cooking time needs to be adjusted accordingly. The best way to ensure the right doneness is the toothpick test. When you insert a toothpick in the center, you should get crumbs~not batter. Hope this helps! Thanks for writing. Hi Jolee, I’ve heard that from several others. I think the time can vary 5-10 minutes based on different oven calibrations and on pan size. The toothpick trick always helps. Thanks so much for your comments! Turned out awful. Bake time was too short. Not all of the “batter” even fit in a 8×8. Waste of time and money. hi! I just made these tonight! Glad the batter being thick is ok! I was like how will I spread this. Only problem I ran into is that I had to bake mine longer than 15 min. When I did the toothpick trick I saw batter on the toothpick. I did them for 10 more mins! Hi Tammy, I don’t think it matters if the oven is gas or electric (mine is gas). I would just make sure to use the parchment and spray, and I would watch the brownies during cooking. When they start to look “set” and begin to crack a bit on the surface and pull away from the sides of the pan, pull them out. As long as they cook to the right consistency, they should be fine. Let me know how they turn out!!! Blessings to you! My son requested these but I’m used to a gas oven now I’ve move and have electric and all my baking dishes are glass, would I need to adjust the temperature, use the paper and spray??? He offered to purchase the items I am making them on Saturday….HELP!!! Marialana, glad to know the substitution worked. I may have to try it myself! Thanks for writing. Blessings to you!!! I used vanilla cake mix. Simple and yummy thank you for sharing!!! Thanks so much; hope you enjoy! Hi Fonda…..I am guilty of the same thing sometimes! I hope they turn out; please let me know! I am bad not to read directions all the way through sometimes and this was one of those times. I put the sugar in the batter. Oops. They are in the oven now and hope they turn out ok. This looks delicious i cant wait to try it! Totally Pinned it! Jayne, I am so glad that your fam loved these! Yes…..cream cheese frosting is great on these. Thanks so much for commenting!!! Made these yesterday for my girls. I used cream cheese frosting instead of the glaze because it was already open. Also used an 8×8, and they were the perfect thickness for me. Very yummy – big hit at my house! 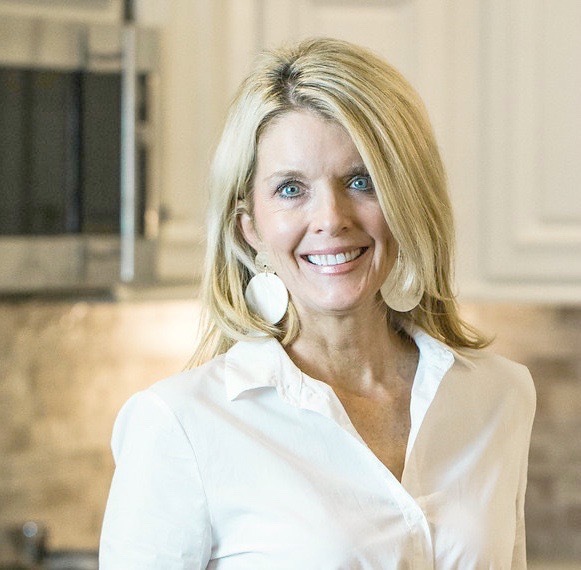 Hi Amanda, you can use a square 9 x9 pan if you want them thicker, but I prefer the 9 x 13 (being careful not to overbake). Yes, the batter is very thick, but they bake up to a perfect consistency. Please let me know how they turn out! Hi Carrie! So glad you stuck with it and that they turned out well for you! The batter is very thick, but the brownies really do end up being the perfect consistency. Thanks for commenting! It seems like such a small amount for a 9×13…I’m making them now but in honesty I’m very doubtful about this! Seems barely half an inch thick…I mean, I’m a baker. I bake brownies OFTEN for guys in my husband’s platoon. I’m going for it, just super dubious…lol Also very thick. Is this right? I added a splash of water simply because it was so thick it was drying out and wouldn’t fully incorporate. I did a box of the cake mix, 2 large eggs, and 1/3 cup oil. I hope they turn out! Looks like I spoke too soon! Although difficult to spread, and even with pudding in the mix, my second attempt was a success! And the plastic knife trick was great! Thanks! I don’t know what I am doing wrong, but I have tried to make these twice now, and just can’t get it right. The main problem is that the batter is so THICK that I can’t get it to spread evenly in the pan. It is like trying to spread bubble gum! Also, I cannot find a brand of strawberry cake mix that does not have pudding in the mix. I have tried several stores and even online to find Duncan Hines to no avail. All the others have pudding in the mix. Any tips? Oh I am so glad you tried them, Cass!!! They are unique…..I still can’t put my finger on whether they are more brownie or more cake:-) Yummy either way!!! Nooooo!!!!! When will the insanity stop!! Brownies should always be chewy and chocolate! These came to prayer group last night and everyone loved them! Super easy and very unique. Everyone wanted to try them! 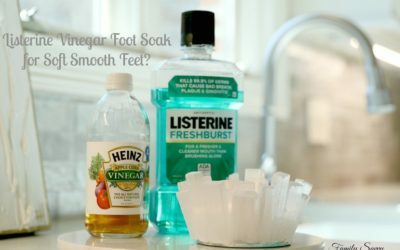 What a wonderful kitchen tip; I had no idea this worked. I keep plastic utensils for school lunches, so I will try this the next time I make brownies. Thanks for sharing, Samatha! Another tip for cutting brownies easily (that I actually got off a brownie box years ago) is to cut them with a plastic knife. Yup. Something about the composition of the plastic makes the brownies not stick. I always keep a couple in my silverware drawer for my next brownie fix.